They were deemed suitable to fly, sealed again (along with a signed document saying nothing was confiscated) and sent to Ljubljana airport via an Adria flight. A very pleasant man arrived in an Adria Airlines van at the Hare Krishna Cultural Centre where I am staying at Zibertova 27, and handed over the bags at 12.00 noon exactly. It has been a rather tense time. I wondered if I was ever going to see them again. My thanks to my Blog Host and friend Aniruddha in Melbourne for posting yesterday’s report on my behalf for those wondering why I had disappeared off the radar. Today I spent a wonderful morning celebrating the birthday of my Spiritual Preceptor and Guru, Srila Prabhupada. Yesterday we observed Krishna’s Birthday all day until midnight with 200 others. Another wonderful day. 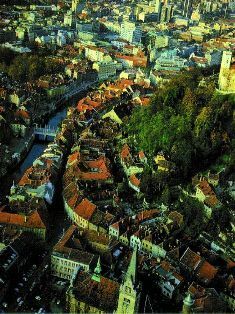 So…just getting my bearings…I’m here in Ljubljana, capital of Slovenia. Where’s Slovenia? It borders Croatia, Hungary, Austria and Italy. From what I’ve seen so far, Ljubljana (pronounced ‘lee-oob-lee-arna’) is a very picturesque city. The people are soft and friendly, and I am very much enjoying my stay. I’m sure I’ll have time to take a look around later, but for now I’m still adjusting to being back in a European summer after an African winter, although it is rather cool. I’ve conducted one class already, and preparing for a string of others commencing tomorrow. I’ll stay in touch.